WWE Payback is in the books, and Backlash is just about two weeks away. 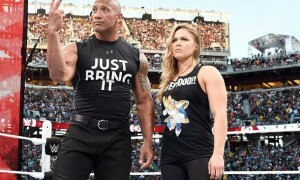 With the new split-brand WWE, PPVs seem to come fast and furious, and there’s seldom much down time between events. Thankfully, the WWE Network is good investment. I’d be out about $1200 a year if I had to buy all the shows ala carte. While not every show is a great one, most are at least passable. That’s because WWE has the deepest talent roster it’s ever had. The Raw and Smackdown rosters are both loaded with great workers, with more in the pipeline at NXT. Even with roughly 25 PPVs a year, deep rosters can seem thin. The WWE Universe has been known to complain about seeing the same names at the top of every show’s card. Most fans have a favorite wrestler that they think is underused or poorly booked. I’m no different. Here’s my list of five WWE superstars who are criminally underused. Fandango – Remember Johnny Curtis? You know, the guy who won Tough Enough in 2011? That guy could wrestle. Curtis, at the (all-too) brief height of his push, reminded me a bit of Edge. Curtis mixed the excellent aerial attack of a cruiserweight with the ground game of a solid heavyweight. Then came Fandango. Okay, I admit it was fun to watch Fandango’s entrance, with its catchy music, its knack for getting the crowd involved and its Summer Rae. Unfortunately, it got old. Fandango got mothballed and, until recently, was seldom seen on TV. Now, Fandango is half of the tag team Breezango (poor Tyler Breeze – but he doesn’t make this list). Hopefully, there will come a time when Fandango is looking in the mirror with his partner (something they do a lot), and suddenly asks, “Just what in the hell are we doing?” Repackaged as Johnny Curtis, the real-life Curtis Hussey could be a solid midcard to upper-midcard player. Luke Harper – For about 10 minutes two months ago, it looked like Luke Harper was finally going to get a push on Smackdown. Then, he tangled with AJ Styles, lost his shot at a WWE title match, and disappeared, presumably back to the swamp he wandered out of in the first place. Harper is a highly-skilled big man. He has startling athleticism and is solid on the mic. Jon Huber (his real name) could be a big deal. Think of Bruiser Brody with more ring skills. Before joining WWE, Huber wrestled under the name Brodie Lee. Oddly, he still wore dingy strap tee shirts and loose-fitting pants, and used the backwoods bully routine. I’d like to see Harper adopt sort of a Damien Sandow character. (Not the Miz stunt double, but the guy who was smarter than everyone else.) It would be a shock for the fans to see him come out to the ring in gear that had been laundered recently. Now that Bray is back on Raw, maybe Harper will have his time to shine. Rusev – Of all the names on this list, I have the highest hopes for Miroslav Barnyashev (aka Rusev). For a while, WWE booked him as a monster heel on a level just below the current push enjoyed by Braun Strowman. Hell, I attended WrestleMania 31 when the Bulgarian Brute came down to the ring riding a tank. There’s still hope. His current storyline (as he recuperates from injury) is that he won’t join the SmackDown roster until he’s awarded a title match. It’s not a bad angle, since he’ll be off TV anyway for a while. When he comes back, he needs to go on another tear like his undefeated streak that started his WWE career. I’ve seen video of Rusev playing a babyface in his developmental days, and he’s got a quirky sense of humor and good comedic timing. If WWE can just book him right, he could be one of the top stars on the blue brand. Sheamus – There’s also hope for The Celtic Warrior. Sheamus’ career has been revived a bit by his association with Cesaro. 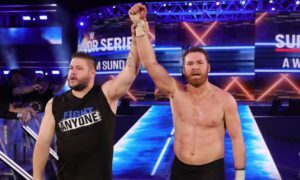 The two have formed a solid to very good tag team, and recently turned heel by beating the life out of the Hardy Boyz. Sheamus has always been a better heel than face, and at his best was a brutal destroyer that reminded me of an Irish Scott Hall. Always an underrated worker, Sheamus could get right back in the game with a continued push. Eventually, he can turn on Cesaro, and the two can go their ways as singles. 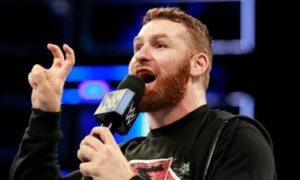 Sami Zayn – I know this name doesn’t surprise anyone. However, if baffles me that WWE hasn’t found a use for Zayn. His in-ring work is as good as anyone in the company’s with the possible exception of AJ Styles. The crowd is solidly behind him, and he can sell the underdog story with the best of them. He’s made a 15-year career out of playing that role. Instead, WWE is booking him like a backstage nuisance, which is evidently what someone (looking at you, Vince) thinks of him in real life. Given the kind of push that Styles has gotten, Zayn might turn out to be just as big a star. 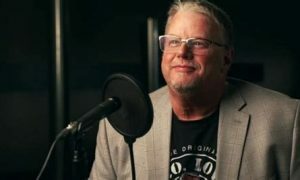 If you don’t think so – look up some of his matches with Samoa Joe, Finn Balor, Cesaro, and just about any of the great indy workers of the past decade. You can have the greatest stable of wrestlers in history, and it won’t matter if you’re not using them correctly. 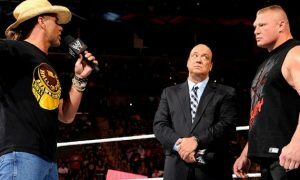 WWE has a chance to create some new stars, and make some of the current crop legendary. It’s time to stir the pot a bit.